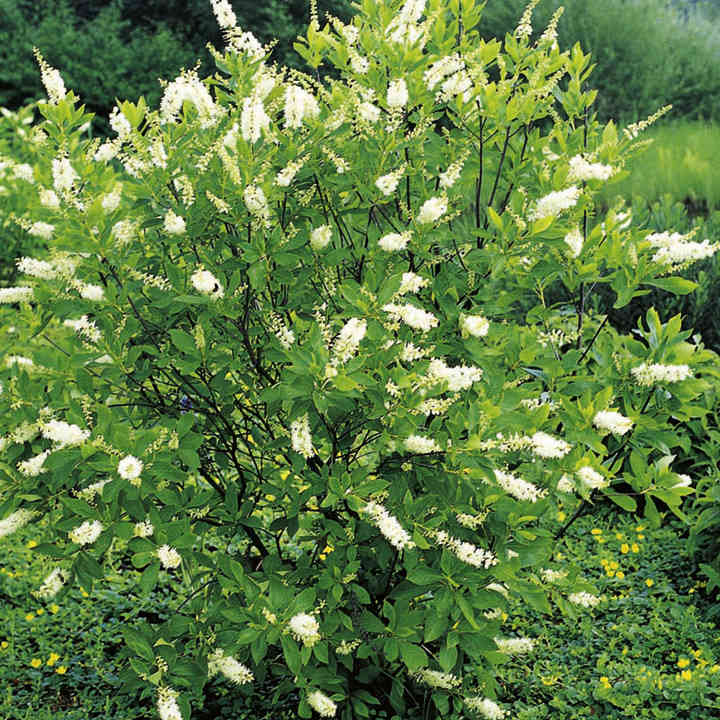 Clethra alnifolia 'Hummingbird' known in the United States as the sweet pepper bush is a compact, upright, deciduous shrub with shiny dark green foliage which turns a striking yellow in autumn and upright spikes of extremely fragrant white flowers. 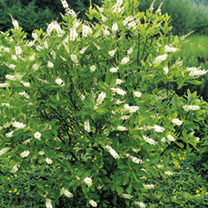 The flowers appear on the current years growth mid to late summer. RHS Award of Garden Merit winner. Flowers July-August. Height 100-150cm. Supplied in a 3 litre pot.